A generous portion of Cod topped with a creamy cheese, prawn & mushroom saucewrapped in delicious puff pastry. Finished off with a sprinkling of coriander. 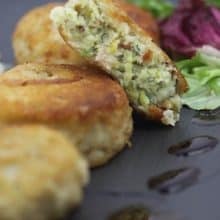 A great dish to have in the freezer for those busy days, simply bake from frozen for 35 minutes. 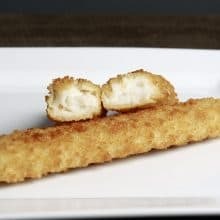 There are 4 Cod encroutes per order. 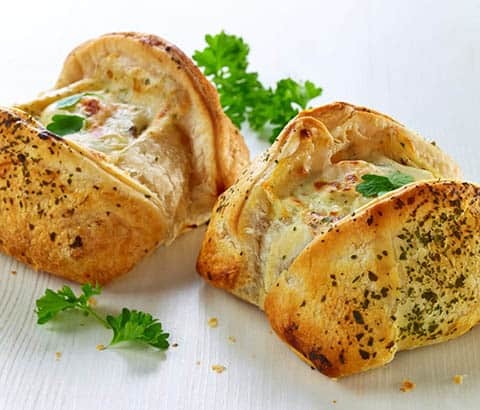 A generous portion of Cod topped with a creamy cheese, prawn & mushroom saucewrapped in delicious puff pastry. Cook from frozen. Pre-heat your oven to 200c. Place on a lightly greased baking tray (Gas mark 6) and cook for 30-35 minutes until the pastry is crisp and golden and the fish is cooked through. 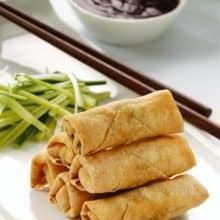 Ensure the centre is piping hot before serving. 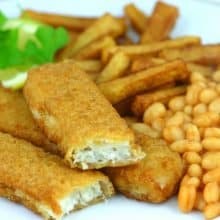 Cod 36%, Pastry (40%) Wheat flour, Margarine (Palm and Rapeseed Oil, Water, Salt), Water, Prawns, Béchamel Sauce Mix (Modified Maize Starch, Skimmed Milk Powder, Whole Milk Powder, Wheat Flour, Maltodextrin, Salt, Sugar, Rapeseed Oil, Onion Powder, Yeast Extract, Flavouring, Garlic Powder, Herb Extracts, Spice Extract], Cream, Mushrooms, Cheddar Cheese, Unsalted Butter(1%), fresh & dried coriander.